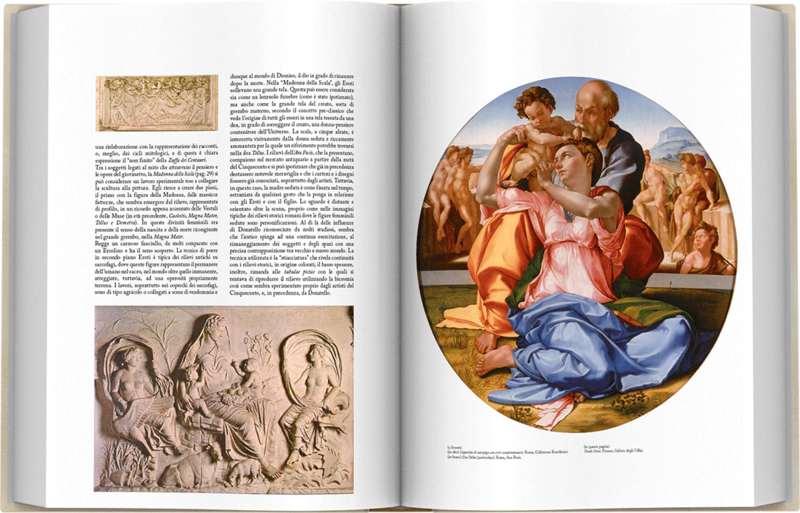 The supreme excellence of the Giant of Art. 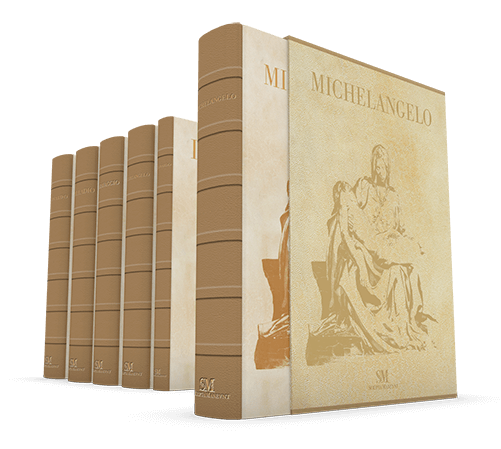 “The world has got many kings and a single Michelangelo". 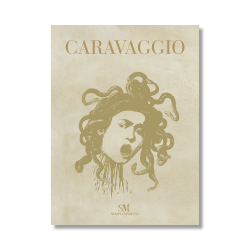 A concert of authors deals in a more comprehensive way with the overall analysis of Buonarroti's work. 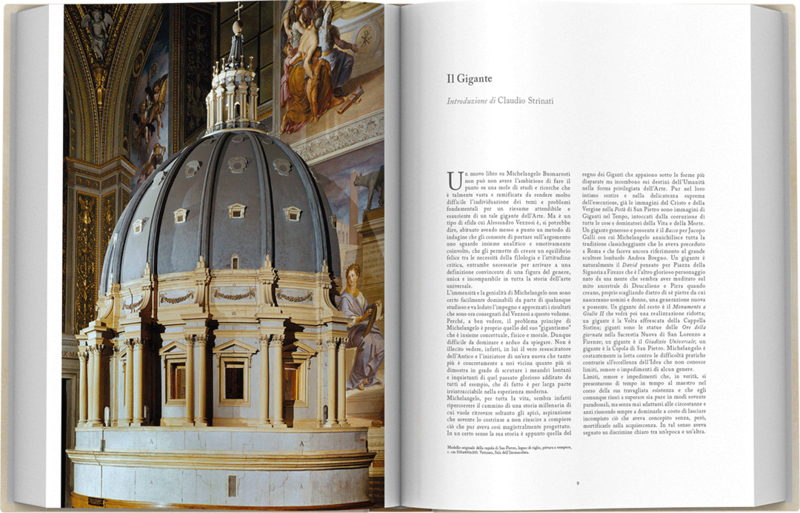 Together with his pictorial masterpieces and sculpture, the volume exposes architectural, philosophical and poetic questions also looking at the daily life of the mighty master. 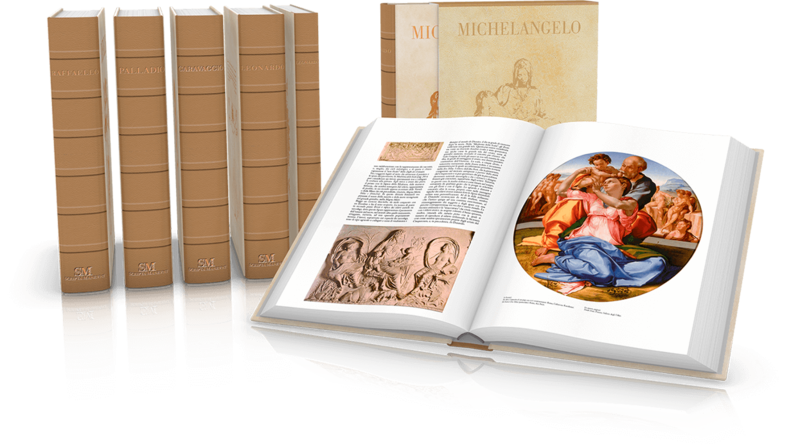 The volume reveals all the humanity and complexity of Michelangelo, and allows to the reader to physically live the parable of this indefatigable creator. 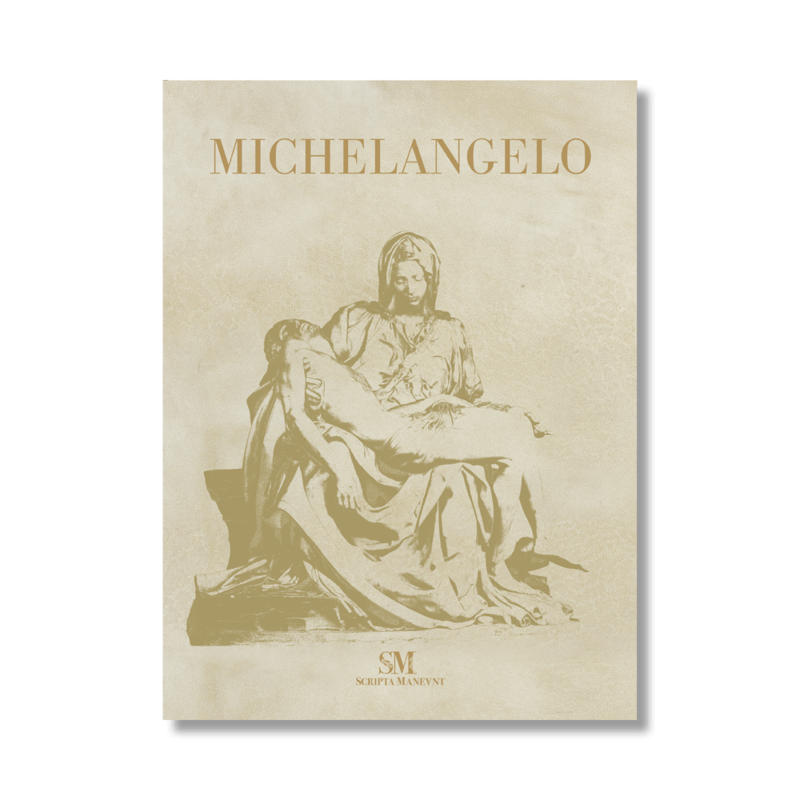 The overall result is a complete vision of Michelangelo, of all his works, and of the deep reasons of the methods that are at the basis of his magnificent and timeless artistic creations. 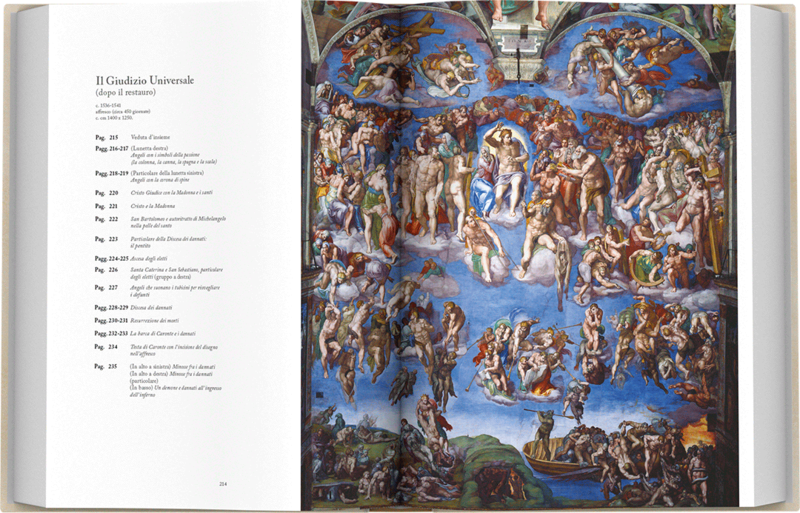 The richest apparatus of images in the history of art publications on Michelangelo. 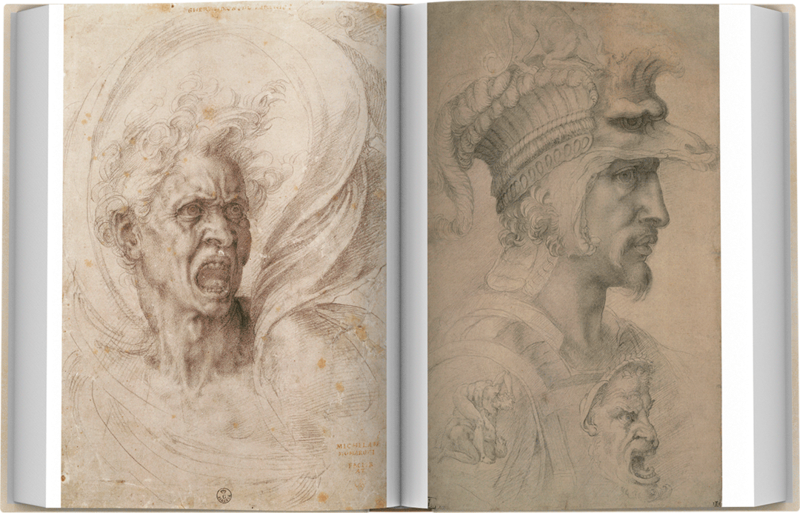 Aurelio Amendola signs the images that reveal every hidden detail of Michelangelo’s sculptures. 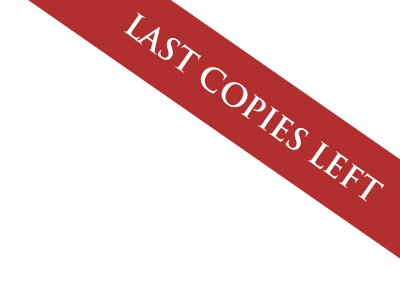  The contributions of great international photographic archives and of documents, provided by the most authoritative organs of protection and preservation of artistic treasures, guarantee an unequaled expositive abundance. 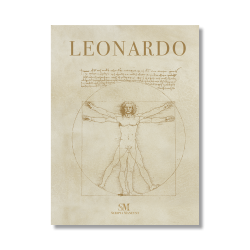 Great scholars - of recognized credibility and proven knowledge of the mysteries of Renaissance art - propose, with intellectual charm and authority, new attributions that show an unknown Michelangelo. 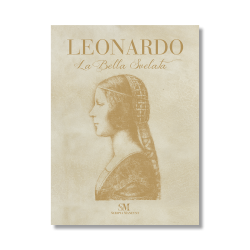 The comparison between contemporary art and the myth embodied by Buonarroti is the further evidence of the wealth of this volume, which is an inalienable travel into the spirit of the artist and of the men who have collected his highest suggestions. Slipcase coated in matt paper of 200 gr with cialux canvas in viscose at the top and bottom.